Chappaqua, NY – March 7, 2016 – How articulate are you? Do filler words pepper your speech – “like,” “ya know,” “I mean,” “totally,” “so,” “whatever”? Today, Say It Media, Inc. announced LikeSo, a mobile app that acts as a personal speech coach. LikeSo offers an engaging and fun way to train against verbal habits and practice speaking articulately, confidently, and without the “like, ya know” syndrome. 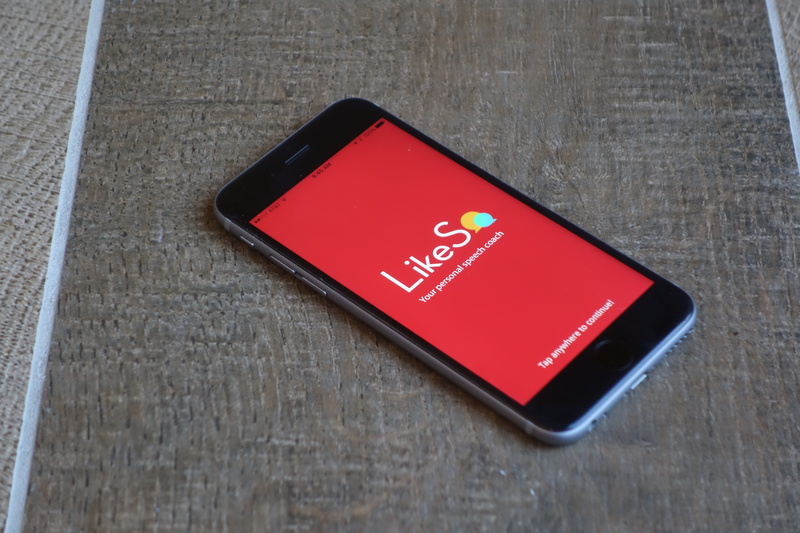 LikeSo is now available in the App Store for iOS devices. Recent research and a tsunami of media coverage has highlighted that increasingly lax verbal habits affect how individuals are perceived and may undermine the potential for success. The excessive use of filler words – meaningless words or phrases used to fill a pause or hesitation – weaken our speech, water down our meaning and distract our listeners. Whether giving a presentation, interviewing for a job or internship, meeting with a college recruiter or business partner, or just having a conversation, poor verbal habits can make anyone sound unsure, inarticulate and even incompetent. Verbal tics affect both genders and people of all ages. No one is immune to this sociolinguistic scourge. The good news, however, is that verbal habits are not pathological. Like all habits, the use of filler words is behavioral and can be fixed with awareness and practice. A key contributor to this verbal tic epidemic may be linked to our addiction to mobile devices. Tethered to our smartphones, and with so many social channels to communicate on, we reduce our opportunity to have articulate face-to–face conversations. And when it comes to real-time conversation, we are literally at a loss for words, and filling pauses with filler words. 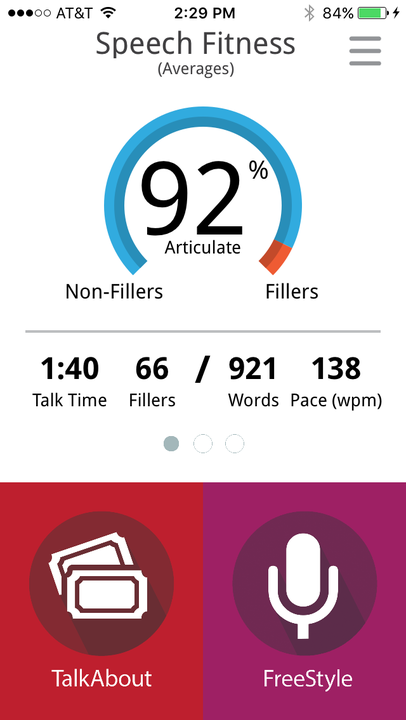 LikeSo provides users with real-time analysis of their speech fitness and calculates a score based on the number of filler words divided by the total words spoken. LikeSo also measures pacing for the fast and slow talker – with optimal pacing generally understood to be approximately 150 words per minute. TalkAbout is a conversation game to practice talking on the fly. Choose a topic from the list of eight. Your session will include five prompts. Select your Talk Time and the filler words that you want to train against. Speak into your smartphone’s microphone (or headset’s) and LikeSo will listen and capture your speech. At completion, you will be presented with an analysis of your talk session and see your results. FreeStyle is your own open mic. FreeStyle gives you the flexibility to practice for any of your upcoming presentations, interviews, auditions – or just because you want to improve your speaking skills. In FreeStyle, you can speak for up to 30 minutes. Select the words that you want the app train against. You can “pause” or “stop” at any time. As in TalkAbout mode, at completion you will be presented with an analysis of your talk session and see your results. LikeSo is the first app from Say It Media, Inc. LikeSo is for your next presentation, interview, audition, date, debate – even your next conversation. LikeSo was created by Audrey Mann Cronin with inspiration and input from her two chief muses, her teenage daughter, Amanda and son, Jake. The app was developed by hatchmap and designed by Subluxed.